My single favorite card for earning valuable rewards points is the Chase Sapphire Preferred Card and it currently has its best-ever public offer that lets you earn 50,000 bonus points after you spend $4,000 on purchases in the first 3 months from account opening. That’s $625 in travel when you redeem through Chase Ultimate Rewards® — but you shouldn’t spend your points that way, as I’ll explain. The card has an introductory annual fee of $0 the first year, then $95. Chase Sapphire Preferred remains my favorite rewards card, and it edges out the other best in class card Citi Prestige. I carry both cards. Sapphire Preferred is a Visa. Citi Prestige is a MasterCard. I believe a well-equipped wallet should have at least one Visa, one MasterCard, and one American Express. It earns points quickly, with 2X points on travel and dining at restaurants & 1 point per dollar spent on all other purchases worldwide. The card bonuses what travelers spend on most. It seems in many cases that Chase has only wants to approve this card for new customers that haven’t applied for 5 new cards in the past two years. The advice then is to prioritize getting a Chase Sapphire Preferred Card before you apply for other cards. I love the signup bonus. I love the $0 annual fee the first year. I love double points on travel and dining where is where I spend the most money and where I have the most reimbursable spend. I love earning points shopping online through the Chase Ultimate Rewards mall for things I’d buy anyway. I love primary collision damage coverage when I rent cars. Most premium cards offer secondary collision coverage, they pay what your insurance doesn’t (which usually means they cover your deductible). With Sapphire Preferred’s primary coverage, rental a qualifying vehicle and charge it to the card and your insurance company may not even need to know that you’re playing adult bumper cars. I love the trip delay coverage. If you’re delayed 12 hours or overnight you can get reimbused for hotel costs and meals. I especially like that the up to $500 benefit applies when you charge even a portion of a ticket to the card, so I like it for paying the taxes on award tickets. There are transfer partners in each of the 3 airline alliances and non-alliance partners to transfer points 1:1 into also: United, Korean, Singapore Airlines, British Airways, Virgin Atlantic, Air France KLM and Southwest. United gets you Star Alliance availability to Europe and Asia and no fuel surcharges. British Airways gets you cheap short-distance non-stop awards. 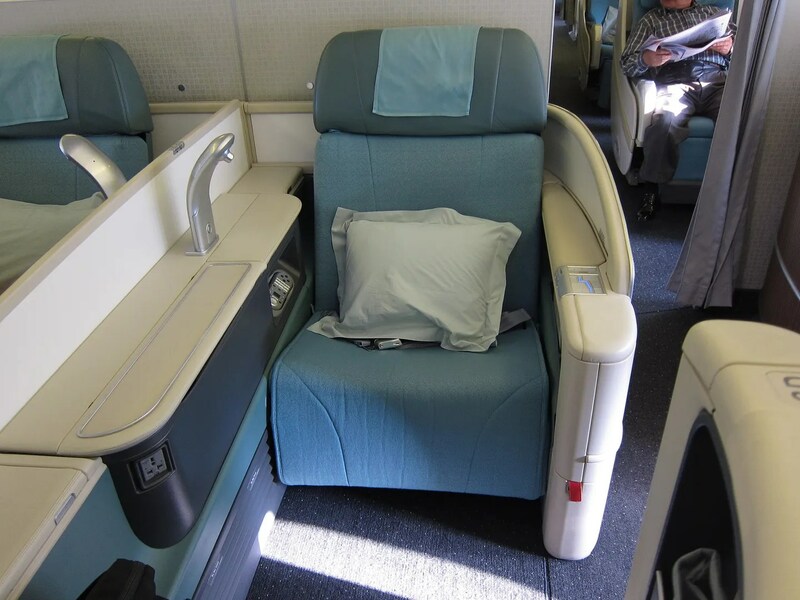 You get access to Skyteam award space through Korean Air which has some very favorable awards — like some of the cheapest awards to Hawaii and 80,000 mile business class roundtrips to Europe (plus fuel surcharges). You also get the ability to redeem for international first class through Korean and not just business class, something Delta doesn’t allow. 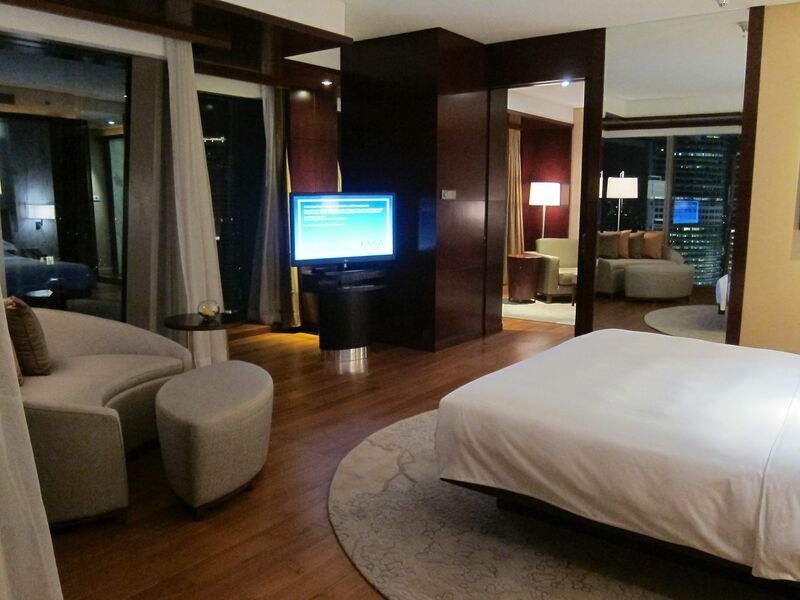 Among hotel partners you can transfer points to Hyatt is the best value, but points do also transfer to Marriott, Ritz-Carlton, and IHG Rewards Club. So Why Do I Like It Even More Than Citi Prestige? This is a $450 card, but gives you a $250 airline credit (which can be used on airfare, and earned twice during your first cardmember year if you apply now) and a $100 global entry credit. And it’s even better than that. The $250 airline credit is available each calendar year. So get the card now and use the credit buying an airline ticket in 2016. And use it again at the beginning of 2017 — $500 in total credits during your first annual fee year. The card comes with American Airlines lounge access (when flying American) and a Priority Pass Select card (with unlimited visits and 2 free guests). And 3 free rounds of golf per year, too, and 4th night free on hotel stays. 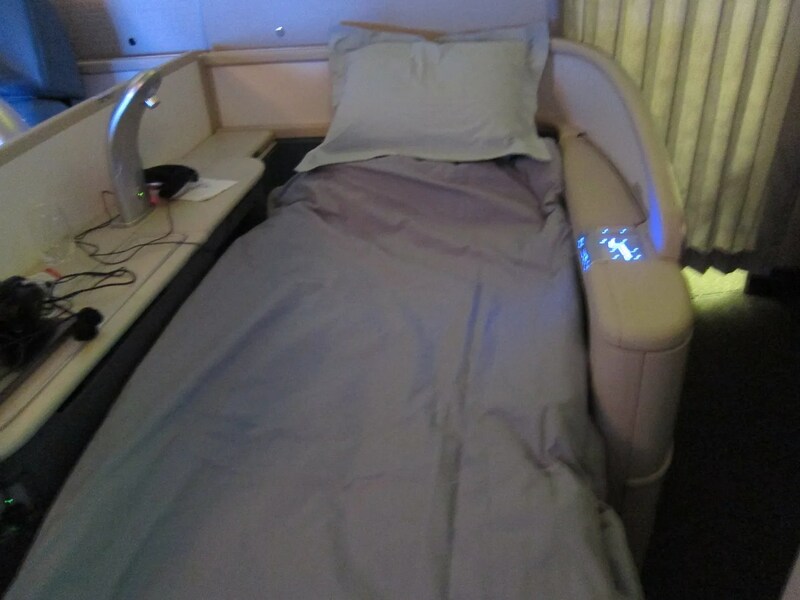 Here are 15 things I love about Citi Prestige Card. Citi Prestige earns even more points — triple, not double — than Sapphire Preferred on air and hotels. It doesn’t just earn double points on dining like Sapphire Preferred, but also ‘entertainment’ which is a broad category. It has even better trip delay coverage than Sapphire Preferred since they now provide coverage on trips you pay only partially with the card and you don’t need to be delayed as long for coverage to apply. I don’t like that partial payment of a ticket with the card limits your coverage to the amount you actually paid with the card. So unless you’re traveling to London, or paying fuel surcharges, that’s going to be of limited benefit. Here’s the thing. Citi Prestige is great for people who fly American Airlines because of the American Airlines club access and because points are worth 1.6 cents apiece towards paid airfare on American. And it’s great for people who golf. But if you’re not an American Airlines customer, after the first year, the card is expensive for the value proposition it offers. At a $450 annual fee minus the $250 airfare credit it’s twice as much money as the Sapphire Preferred Card. 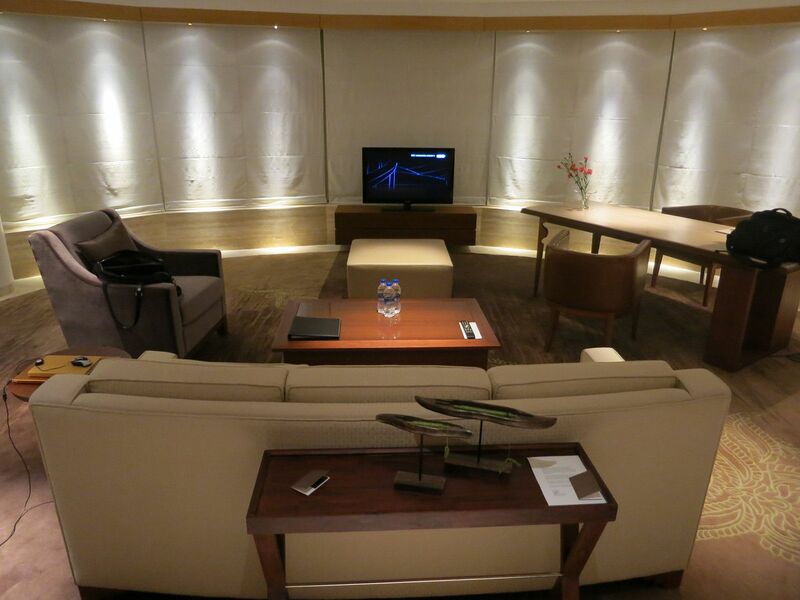 You do still get a Priority Pass with unlimited lounge visits and two free guests. For many that alone will be worth the incrementally higher annual fee. The point is that you have to use the card’s many benefits for the fee to be worthwhile. It isn’t a card you simply pick up and spend on, and value simply for the points. Furthermore I value the Ultimate Rewards points that Sapphire Preferred earns more than the ThankYou points that Citi Prestige earns. Citi does have the advantage with more oneworld partners — Chase transfers to British Airways, which many will prefer, will Citi offers Malaysia, Qatar, and Cathay Pacific. Chase has a better value transfer partner in Hyatt compared to Citi with Hilton simply because Hilton HHonors has a more inflated currency, 1:1 transfers to Hilton aren’t worth as much. When I buy my airline tickets I’ve been using Citi Prestige. When I check into a hotel I’ve been using Citi Prestige. And when I eat at a restaurant I’ve been using Citi Prestige. The simple reason why is that I have a million Chase points and my balance with Citibank is much lower. So while I believe one Chase point is worth more than one Citibank point, at the margin I value the next Citibank point more. I believe in diversifying my points balances. I don’t want all my points with one airline, that limits redemption options and it exposes me to devaluations. So I like transferrable points like Ultimate Rewards and ThankYou Rewards. But then I like diversifying across transferrable points currencies too, to hedge against devaluations (we rarely see wholesale devaluations with bank transferrable points in the U.S., though programs do lose transfer partners) and to give me even more transfer options so that I can get whatever award I wish. My bottom line is that unless you have a million Chase points, I think Chase Sapphire Preferred Card is better. But if you’re like me with that huge balance already, I prefer to diversity and use Citi Prestige Card. Gary, what are you actually using your TY points for? They seem to be niche redemptions, whereas UR has a lot of partners that I’d on average want to transfer to. @Dan I like niche redemptions 🙂 I think Etihad is a fantastic partner for AA awards, EY awards, SN awards and a few others. I like QF is good for EK transatlantic and short haul. There’s value in SQ, AF which duplicates other currencies. But you identify why I value UR > TY. Chase probably pays a better commission for referrals, but Chase’s limiting of credit card applications and approvals is a worrisome trend. It follows and sets precedents for the future of credit card programs. 2 major banks control the majority of valuable credit cards with Chase being the larger. Chase should be called out and not rewarded for their current card issuance policies and practices. I have both cards and agree with your assessment. That aid, why wouldn’t you use the citi card given the stronger bonus spend earning. While 1 UR point may be worth more than 1 TY point, aren’t 3 TY points worth more than 2 UR points ? Beyond travel and dining, chase of course work at Costco now while prestige MC does not. I’ve also found the purchase/return protection benefits better with citi. However, for those to apply you have to be an active cardholder, so for that 3rd year extended warranty you have paid many high cost annual fees with citi, and the likelihood of keeping a card should factor in (much easier with the chase lower fee that citi). Gary, It sounds like both at the margin and in general it is better to use Citi than Chase at triple bonus vendors right? I ask because you seem to suggest that for those who own the card, margin considerations aside, chase should be the go to for even that sort of 3x bonus spend. “You do still get a Priority Pass with unlimited lounge visits and two free guests.” I specifically called Priority Pass about this benefit and I was told by two different agents (yes, I called back to reconfirm) that my membership which I got from Citi Prestige would allow me, wife and 2 kids all in the lounge at no extra cost. I’ve used in 4 different lounges during my trip in the last two weeks and had no issues at all in having my family in with the card. Eh.. another referral link dump. The begging never stops. Gary, you mentioned that for the Citi card, “you don’t need to be delayed as long for coverage to apply.” I couldn’t find the exact terms in your linked article. I think for Chase it’s 12 hours or overnight. Is it shorter with Citi? How many of those points from referrals? You keep plugging the card despite Chase’s current consumer unfriendly policies. Please warn people of the 5/24 caveat and unnecessary credit pulls with almost certain denial for those affected. CSP: Rental cars and transferability for other UR points. Put in drawer. Other cards give higher earnings for food and travel. Everyday spend goes to Freedom Unlimited. @Mike Citi does not at present have a 5/24 policy. It only limits you to sign up bonuses if you haven’t opened or closed the exact same card in the past 24 months. So if you renew a card at the first year point, you can apply for another a year later. Yes, you can typically be approved for another of the same type of card when you currently still have one open. They will usually deny an app if you have applied for more than (6 to 9) cards from any bank in the past 6 months, based upon your credit history. And they will absolutely only approve one Citi card in 8 days, and only 2 in a 65 day period. Would I recommend putting that in bold caps? Probably, but it’s clearly mentioned. @playalaguna i write regularly of Chase’s apparent interest in limiting new cards for most people that have signed up for, in their view, ‘too many cards’ in the previous 24 months. However a majority of my readers do not fall into that camp. @Nancy 3 or more hours! @David the snark never stops from your comments, which means you keep reading, thank you so much! @Jed 3x Citi > 2 Chase on average value but I think I value citi more than the average reader would because of the niche plays it offers [which are great plays but not for everyone]. I think the average reader will find chase points easier to extract value from. I get that this is not the New York Times, but would it kill you to proofread your posts? Gary, have you ever transferred TY points to Flying Blue in a search for Saver level to and from CDG and/or AMS? Every now and then they show more availability than Delta. Yes, I realize some of this availability can be phantom. I had a bunch of Citi cards over the last 4 years or so. Marriott, Hyatt, BA, and other so when I applied for the Chase Sapphire card I received a polite leeter confirming that I had opened too many cards. My first action was to cancel all cards with he exception of the BA card. I wrote to Chase, told them what I had done and asked a simple question, “at what point can I open that card” Two form letters later and I still have no answer. I want that card but cant get them to tell me when I can get accepted. Any suggestion? Citi’s biggest issue here is the lack of an answer to Chase Freedom. Their 3 TY preferred/premier/prestige cards offer similar bonus categories, so there’s little point in having more than one of them. I have to speculate that they pulled the signup bonuses on the lower cards to relaunch then as a better challenger to Chase. Also, Prestige should be metal, with the ornate pattern laser etched. My strategy is to use Prestige for hotels, flights, restaurants and entertainment, Sapphire for other travel spend other than flights and hotels, and then use Chase Freedom Unlimited for 1.5 points per dollar for other miscellaneous spend. I find using ThankYou Rewards for American Airlines flights at 1.6 cents per point a great value, as hotel & flight points count is basically 4.8% return, and restaurants and entertainment 3.2%. And on top of that, you earn AAdvantage points, and it counts towards getting status, so really it is even much, much higher than 4.8% or 3.2%. Often that way it’s more like 10%+ return (even after the August change to fixed points per dollar), and is a great way to earn American miles since there’s no transferable bank points to AAdvantage. It’s really nice to use this way as you can chose the flights you want (vs. not as many options at low level awards) and often I find the ThankYou points needed is less or about the same as using AAdvantage miles (unless it’s last minute when Avios is better for domestic travel with no last minute fees). And with this strategy you still have Ultimate Rewards and ThankYou points for transferring to other programs if there is a better value. I’m also hoping that Citi will eventually have American as a transfer party too. Gary do you think it will be soon? And do you think they will then get rid of the 1.6 cents per dollar when that happens? 2 questions: I used my priority pass in Delhi and they charged me for a guest. Maybe I took the Priority Pass I got from the Amex Platinum that does not include a guest? Anyway, can I merge those? Or how do I figure out which one is which? I have a very beginner question (b/c I am a points/miles beginner!) My husband & I each recently got a Citi AAdvantage Platinum MC to use the miles for American Airline flights. If I were to apply for the Citi Thank You Premier card, would I be able to transfer those TY points I earn to American Airline miles? Thanks! 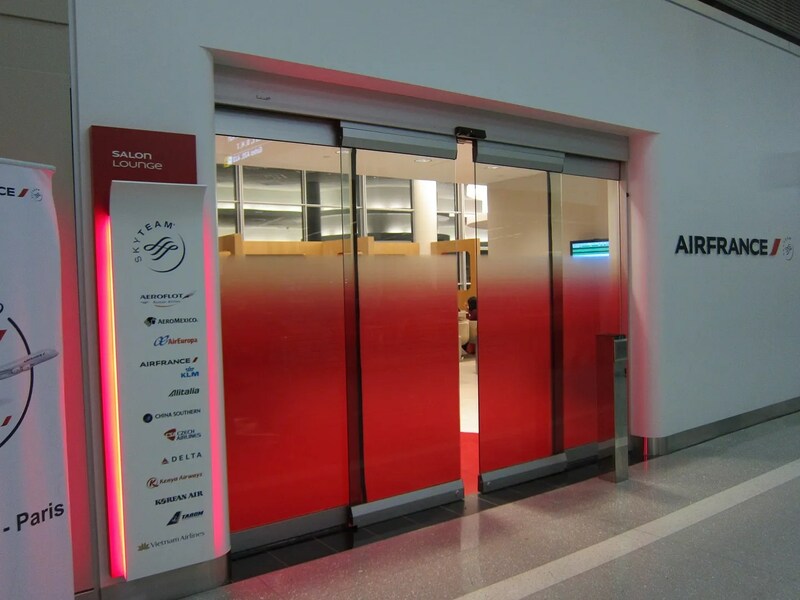 @Lindsay – Citi ThankYou points do not transfer to American AAdvantage — which is surprising since Citibank also issues American Airlines cards. They haven’t been able to make that happen (perhaps ‘yet’ – if Citibank reups its deal with American I’m hopeful that transfers come with it). @Julianna – you must have used the Amex Plat priority pass, just ask Priority Pass for the benefits attached to each account #. I have to imagine we’ll see a strong bonus for TY Premier at some point. I’ve been using my Sapphire preferred card for the past 5 years. Would it be possible for me to close the current one (the one I had for 5 years) and open another one and get the 50K sign up bonus? @Santastico – yes, the Priority Pass access policy for Citibank Prestige holders is either 2 guests, or your immediate family (spouse/partner and/or children under 18). What I don;’t understand is how they track this- I’ve signed in my family a few times, and all the lounge records is Member + 3 guests, but no charge has shown up on my credit card. Question is … how did you get your million points in Chase. Regular spend or MS?